In February, I suggested to my homies BCUC that we have a photoshoot. The idea was to capture them in various performative states since that’s what they are: a live performance outfit! We used a water spraycan to achieve the shiny/sweaty effect, and had a lot of fun pointing and clicking in the blazing sun, even when clouds threatened to dim our shine. 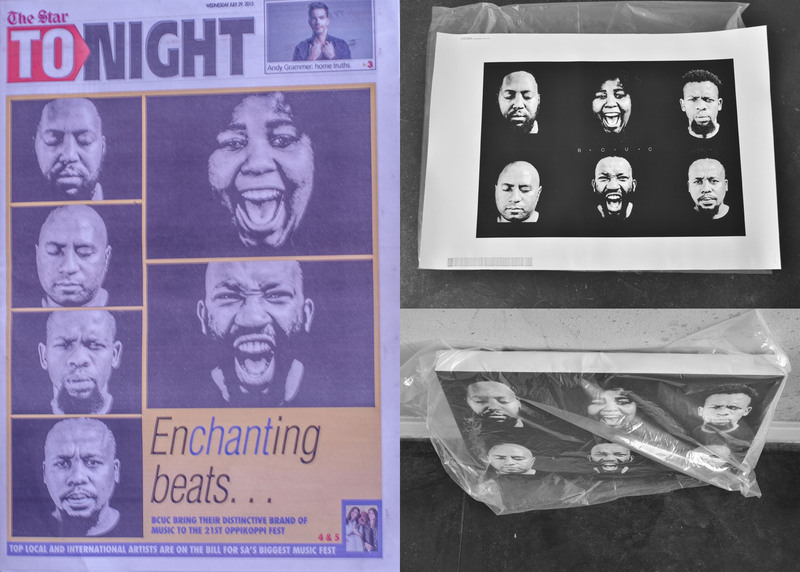 A few months later, and the collaboration’s not only featured on the front page of South African daily The Star, but it’s also morphed into a print on mount canvass that BCUC will be selling a signed copy of at Oppikoppi festival. Go watch them; they’ll be at the Skellum stage, Sunday 9th August, 9pm.